It may have been a long time coming, but warmer days are finally upon us. Hot sunny afternoons and long warm evenings have us eager to get outdoors and into the fresh air. 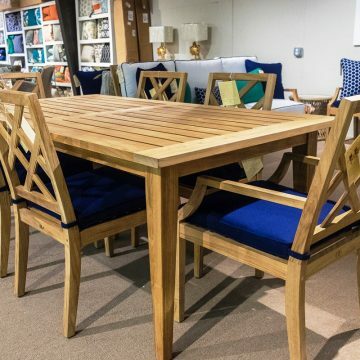 At Green Front, we believe there’s no reason your outdoor furniture can’t be every bit as sophisticated, timeless, useful and durable as your indoor furniture. 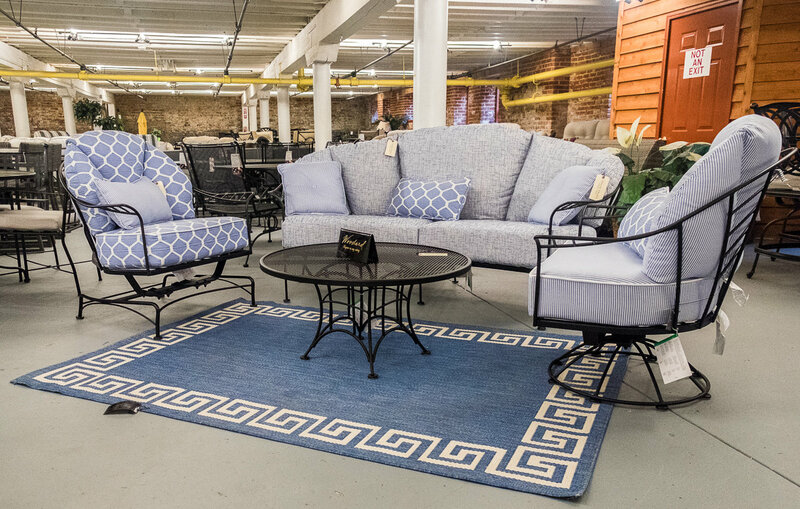 With pieces from Kingsley Bate, Woodard, Lane Venture and Summer Classics, your patio, porch or deck will become the centerpiece of your spring and summer entertaining. 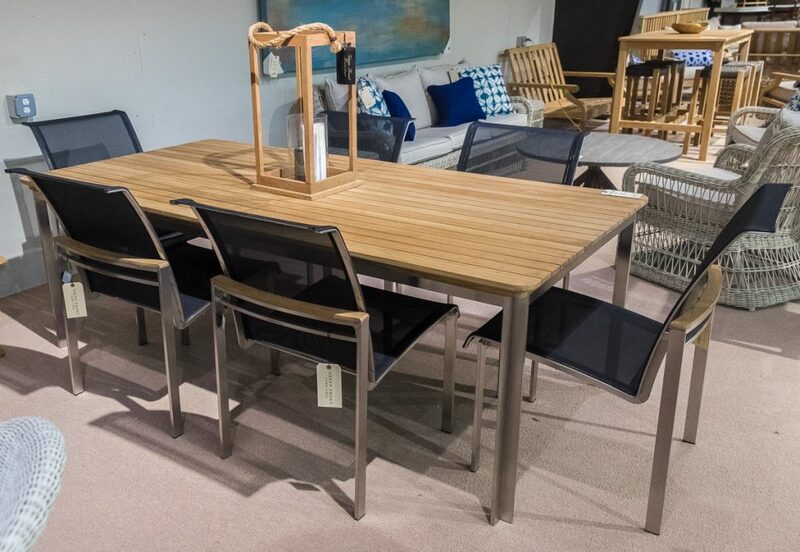 Kingsley Bate’s signature teak patio items weather to a stunning silver patina, making it a beautiful choice for any outdoor space. 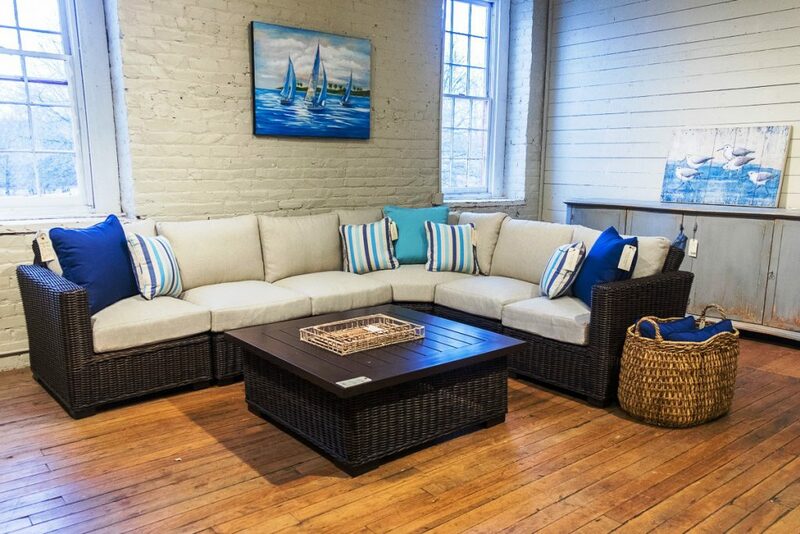 Lane Venture, Summer Classics and Woodard pieces feature high quality resin wicker, cast aluminum, wrought aluminum and wrought iron construction. 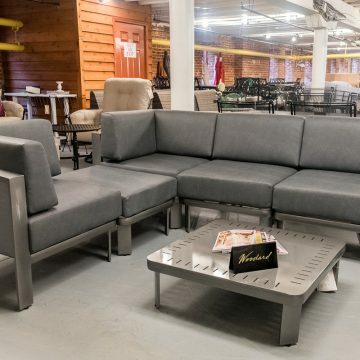 All of these manufacturers specialize in durable, all-weather cushions, designed to withstand the wear and tear of outdoor conditions while still maintaining their color, shape and usability. 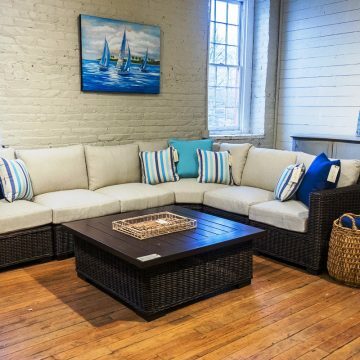 When it comes to outdoor furniture, gone are the days of pieces that turn crispy or rusty after a season of outdoor entertaining. Today’s wicker is treated with resin and uses specialized fibers coated with multiple finishes so that it lasts longer and withstands more than your mama’s patio furniture ever could. Aluminum and other metal products are finished with special powder coatings for added durability, while wrought iron pieces are reinforced and crafted from solid iron stock. Green Front’s selection of outdoor furniture allows you to elevate your outdoor space as an extension of your home that fully reflects your style and taste. 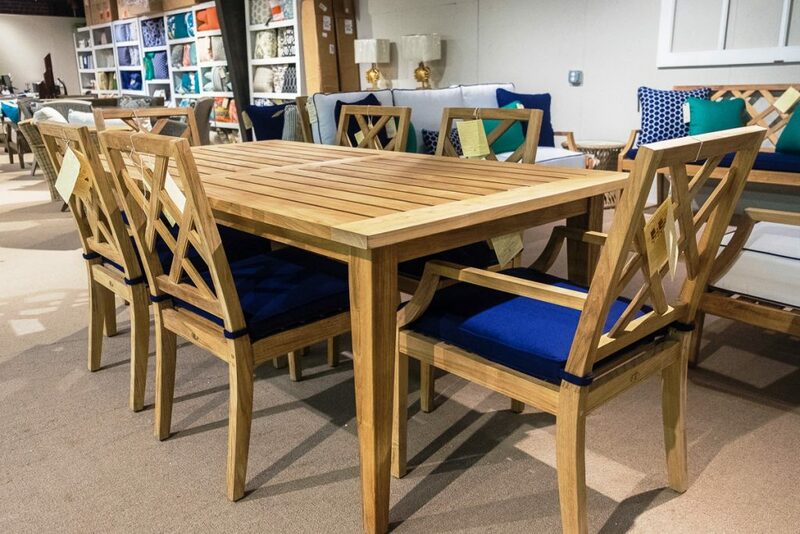 Whether it’s a classic patio set from Woodard or an elegant teak lounge chair from Kingsley Bate, outdoor furniture at Green Front lets you create the summer of your dreams with pieces that are beautifully crafted and enduring. You’ve waited this long for warm weather to arrive — why not celebrate by upgrading your deck, patio, porch or backyard into an outdoor oasis. 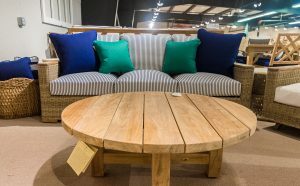 Durable, stylish outdoor furniture from Kingsley Bate, Woodard, Lane Venture and Summer Classics will have you mixing up your favorite pitcher of sangria, firing up the grill (Big Green Egg grills are in building 8), and celebrating warm summer days in style. 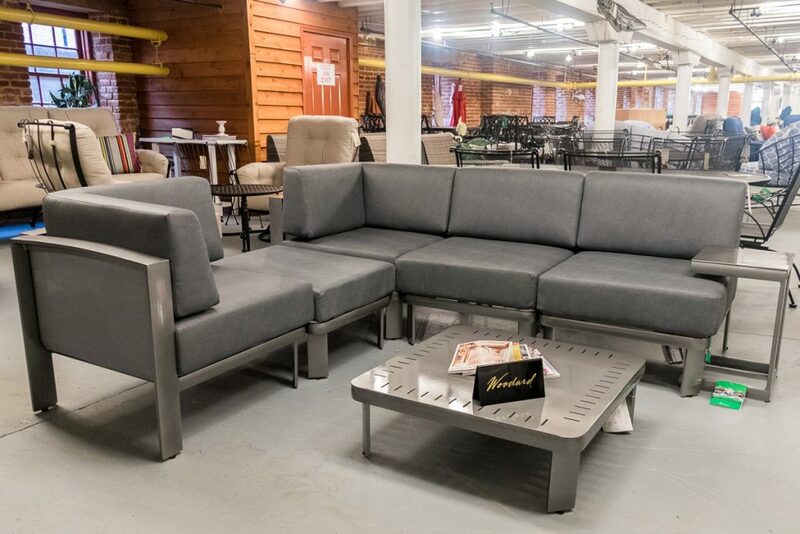 To see all of our available outdoor furniture, view our virtual tour of the outdoor section of building 8 here, then visit buildings 8, 10 and The Courtyard at Green Front in Farmville. This entry was posted in Latest Trends and tagged outdoor furniture.